For students of John Hunt Morgan, Civil War cavalry and/or the western theater, this book, though only 204 pages of text (not including notes) is a very good resource that gives many details of what happened during various cavalry raids and scouting expeditions and how the men handled their jobs. Written in the early 1870s, it of course raises questions about how the author remembered as many details as he did, even a few years after the war, and that question should remain in the reader's mind, but Brown did a masterful job of editing it. He even used many different sources such as census records to confirm the names Porter mentioned. Brown added additional information about these people and families in the very in-depth notes section - readers should be sure not to skip over this part of the book, which also includes modern references to the areas Porter traveled, including current road and town names. His research certainly adds to the credibility of the text. This is an enjoyable, informative and well-written, well-edited book. Porter was a lieutenant, but this is not a memoir of an officer, but, rather, of a soldier following orders and doing his duty. Little is mentioned of grand strategies or even tactics - Porter sticks to telling what he and his comrades did, how they obeyed orders, the actions they undertook, and how they accomplished all they did, sometimes in challenging conditions or areas. This is the story of night scouting expeditions, of travel through dark and rainy conditions, often in territory with Yankees around, of trying to find food and shelter for man and horse and of a man who clearly believed in his cause. Several times throughout the book, he emphasizes what he perceives as the correctness of the Confederate cause. He tries to avoid bragging about his own accomplishments, but is not afraid to describe the bravery and courage of his comrades and the units under Morgan's lead. 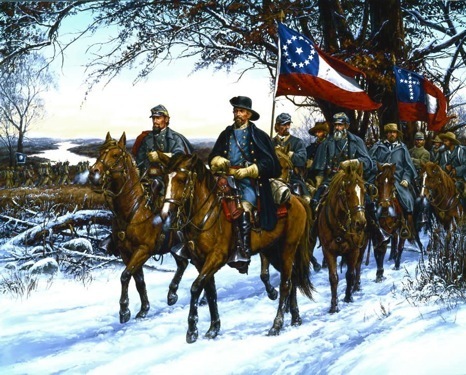 He clearly believed that he and his fellow Confederates were fighting for the side of the right and that they were determined to give their all to achieve victory. One of Morgan's Men also serves as a small sample of the story of Kentucky itself during the war. One fascinating aspect of the narrative is Porter's descriptions of how the scouts found so many friendly citizens to help, house and/or feed them throughout the Commonwealth, but especially the central and west-central parts of it. Though they had to be careful not to catch the attention of Union supporters or soldiers who were frequently in the same areas, they still found help when they needed it. This is another example of the split loyalties of what was still technically a Union state, even though that was not the intent of the writer or his book. This work does include a nice selection of photographs and a few maps/drawings, which do add to to the quality of the work. The editing, with the information in the notes, and selection of the illustrations, deserves much praise for making this a better work, not just a word-for-word retype of Porter's manuscript. 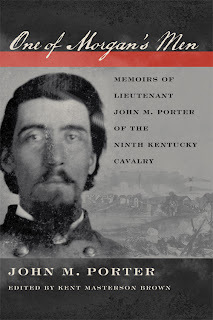 Porter's writing (with some assistance from the editor) is easy to read, with a nice flow, and provides a fascinating perspective on the operations of Confederate cavalry, especially under Morgan's command. Most of the story takes place in southern Kentucky and Tennessee, but they did make their way to eastern and Central Kentucky too. Porter was captured prior to the Indiana and Ohio portions of Morgan's last great raid, but he provides many anecdotes and details of the raids and expeditions in which he took part. This is a very good, interesting and valuable book. It gives gives a good look at the small, often forgotten or unrecorded aspects of war incidents that do not always make it to newspapers and major studies about the war. Those interested in the Civil War generally know of the reputation of Morgan and his men, but the details of their riding during the night and resting during the day, or of locating friendly civilians for rest or shelter are often missing from the official reports of such activity. This book provides some of those details. 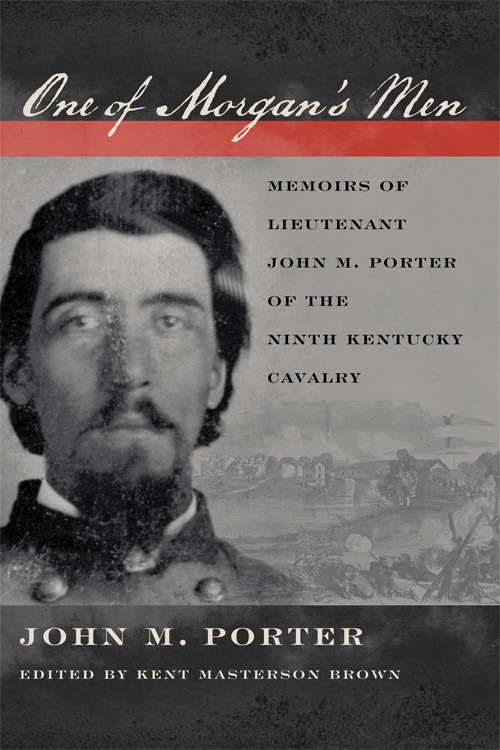 John Hunt Morgan and his men caused a lot of chaos for Union soldiers, supporters and supply lines in the region during his reign, and John M. Porter's memoirs provide a very fascinating insight into the whats, wheres and hows of these various actions. This is a high-quality book that I highly recommend.